On a clearer day than today, Mount Diablo rises up behind Bald Ridge, one of the lesser summits of the mountain. Actually there are at least a dozen distinct summits and high points on the mountain. The highest (and Contra Costa county high point) is at the State Park visitor Center to the left of the tower in the photo. North Peak is to the left and the flanks of Eagle Peak in the foreground. This hike headed up from the Mitchell Canyon entrance in Clayton, and over the Eagle Peak summit. The north and east side trails are much more rugged and interesting than the more frequented western approaches. Extensions to the park on the north and east sides have been made thanks to the dedicated efforts of Save Mount Diablo. 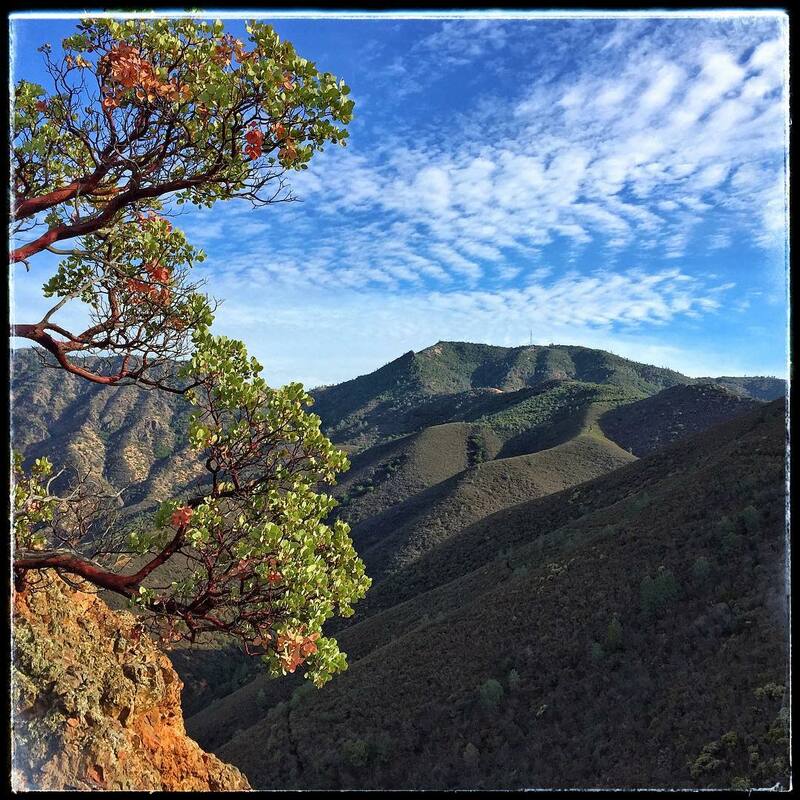 Here in the photo the green manzanita bush with its distinctive smooth red bark, and the rough red rocky ground makes a strong counterpoint to the brushy summits in the background.